Not sure what to do with ConvertKit? Want to wow your subscribers or clients with a professional, tech-savvy email performance? 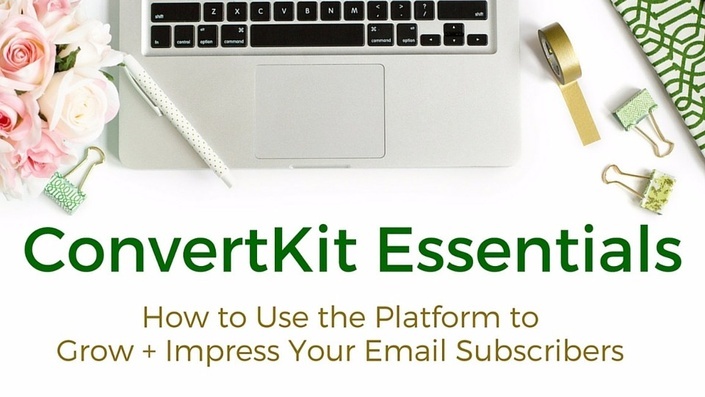 ConvertKit Essentials is for you! If you want a successful online business, then you need to build and take care of your email subscribers list. That's just Online Business 101, friends. Fortunately, this course has got you covered! Enroll in this course if you want to avoid making any email subscription hiccups. Let me help you wow your audience by following along with my video tutorials that show you EXACTLY how to use ConvertKit. The materials and videos in this course were created with all of you bloggers, virtual assistants, writers, content creators, product launchers, and online hustlers in mind. Course Details: This course is for Beginner to Intermediate users. Wordpress is not required for this course. However, it is the platform displayed in the video tutorials. Disclaimer: I am not an employee of the ConvertKit company. I'm an online entrepreneur who uses and loves their platform for growing my business. All opinions, content, and tutorials are my own. Hey friend! I'm Allison Lindstrom and I created a full-time income as a blogger and infopreneur less than a year after becoming a stay-at-home mom. I love helping busy women strategize, plan, and storm onto the online business scene like the savvy entrepreneurs I know they are! New! Want to Make Money By Promoting This Course? What is the refund policy on this course? Due to the instant-access and digital nature of this particular training, there are no refunds. This policy is strictly enforced. You will need to purchase a ConvertKit plan separately from this course in order to perform the step-by-step tutorials. A prepaid ConvertKit plan DOES NOT come with this course.